Tasting Notes With a deep violet colour, reveals notes of black fruit and pepper. 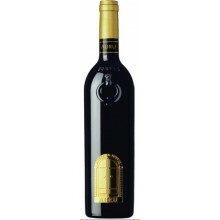 It’s concentrated and well defined and has an expressive and long final. Enjoy With a diversity of meat dishes and strong cheeses. Vinification Maceration in small open tanks at 26-28ºC. Fermentation takes place in small lagares where we end up by having a very intimate relation with the wine, allowing us to carefully look after the grapes and perform a very smooth extraction. Ageing 14 months in new French oak.